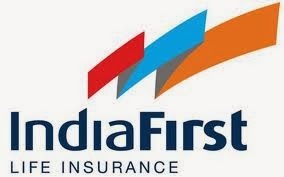 One of the latest entrants in Indian insurance sector, IndiaFirst Life Insurance Company is eyeing to grow by 20 percent in premium collection by the end of this financial year. “We expect a strong growth in our group business. We are strong on the protection and pension side of business,“ said Sri Kamalakar Sai Palavalasa, Director (Sales & Distribution) of IndiaFirst Life Insurance. During last fiscal, the insurer had registered Rs. 1,316 crore in new business premiums. IndiaFirst has completed fourth successful year of operations in the Indian insurance sector. It commenced its business in year 2009 and is owned by Bank of Baroda, Andhra Bank and Legal & General, a wealth and investment company of the United Kingdom. Now, as part of its business expansion plan, the insurer plans to focus on health insurance portfolio. Recently, the company has launched its health card to provide cashless hospitalisation benefit to its policyholders at network hospitals. “They connected to our network and the claim amount gets uploaded automatically,“ Sri Palavalasa said. IndiaFirst is planning to hire 1,800 employees and to recruit more than 5,000 agents by this year end. Presently, the insurer has 3,500 agents and it has tied-up with several regional rural banks and cooperative banks, apart from the bancassurance network of 6,200 (of Andhra Bank and Bank of Baroda, promoters of the company). The insurer is also aiming to expand its distribution network through tie-ups with IRDA's approved insurance depositories, which was recently launched by the Union Finance Minister, Sri P. Chidambaram.